.452" Lead Bullets 230 gr. Sized and Lubed. Ready to load in your brass. 100 bullets per bag. 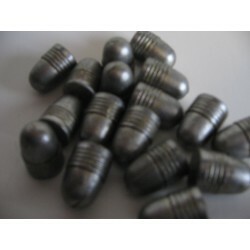 Great for reloading 45ACP cartridges. These work well with any 1911 feed ramp!